Occasionally I come across a console gamer looking to make the change to PC gaming. They’re interested primarily in better graphics and mods. What holds them back are a mix of legitimate concerns, and a vast amount of false information invented by anti-PC gamers. I felt that I should clear up the benefits and disadvantages to PC gaming. I’ve been gaming on consoles since the 90s, and have experience with all consoles since NES and Sega Genesis. I built my first gaming PC in 2008, and since then I’ve developed many modifications for games as well as designed quite a few levels. So this will be a purely informative and non-biased post. You may also wish to read this article which is somewhat related. Below are some of the common questions asked by console gamers looking to switch to PC gaming. 1. Isn’t PC gaming much more expensive? 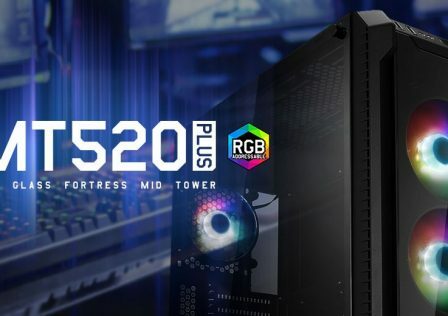 If you’re willing to learn to build a PC, or have a friend/family member who can build one, then you can typically build a powerful console killer PC for $500-600. Pre-built PCs will set you back close to $1,000 for inferior hardware than a custom built $500-$600 PC. Therefore, the cost of a pre-built PC is one of the legitimate concerns against PC gaming. However, upgrading to each new console generation totals up to far more than building one solid gaming PC. Console game prices cost far more than PC, and consoles force you to pay for online services if you want them. In other words, PC gaming is less expensive in the long run, hence why it is more popular than console gaming globally, especially in poor countries. Anyone buying every console upgrade, especially half-upgrades like the PS4 Pro and XBOX One X, are spending much more money and wasting all of it in objective inferiority. This brings us to our next question. PC building is a great skill to have and it is encouraged. It is practical because computers are so important to everyone. 2. Don’t you have to upgrade PC hardware every few years to play the latest games? Absolutely not. This is one of the most common concerns preached by anti-PC gamers, but it’s mostly nonsense and/or extremely exaggerated. First and foremost, new hardware is not necessary to simply play new games. Sure, certain outdated hardware may struggle on higher settings of a new game, but you can still play the game. So I’ll say it clearly, you do not have to constantly upgrade to the latest hardware to play PC games. You can upgrade every few years. If you want to run games on the highest or near-highest settings for the next few years, you can build/buy a powerful one and it will certainly last for a while. 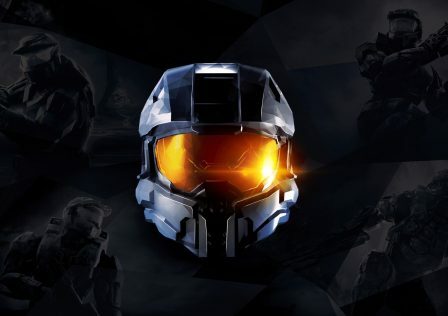 2013’s AMD R9 290X and an AMD Ryzen 3 or Intel Core i5 (or Coffee Lake i3) or better will easily run the latest games on similar settings to the XBOX One X and PS4 Pro, but at 1440p 60 FPS instead of 2x 1080p 30 FPS. PC wins here because 1440p is about equal to the PS4 Pro/XBOX One X and the frame rate is double. 3. What if I prefer gaming with a controller? Then use a controller on PC. Microsoft’s XBOX 360 and XBOX One controllers work as does the PS4 controller, and most games support them (those that don’t can be made to support them via easy tweaking and/or an external program). Logitech, Valve, and other brands have controllers with a unique layout. However, the mouse and keyboard combo is one of the benefits to PC gaming. A mouse gives you far more precise aiming for shooters, and far more precise movement for platforming. A controller has about a dozen buttons, while a normal keyboard has over 100 keys (but you can get smaller models which take up less space, and are beneficial to many gamers). Many games from various genres make use of these extra keys to deliver functionality that console games can never dream of. 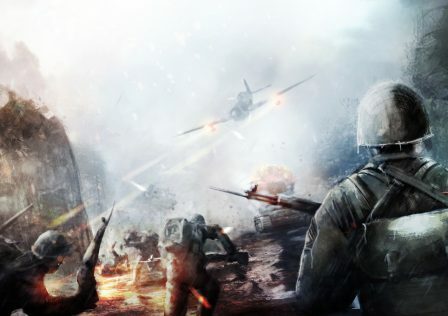 For shooter game examples (since shooters are so common), see the Arma franchise, Red Orchestra/Rising Storm franchise, and the first three Rainbow Six games for starters. 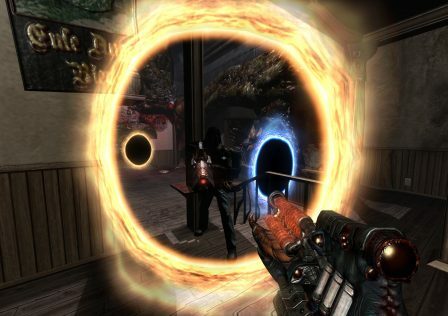 Many multiplatform and PC exclusive titles take advantage of hotkeys. No more navigating through menus with a controller, simply press a key to equip an item. Much faster than any controller/console wheel-based UI. Believe it or not, it took me less time to get used to the mouse and keyboard than to get used to a controller. Mouse and keyboard just give you more freedom for hand movement, so you don’t have to keep your hands clutched around a controller all the time. Mouse and keyboard is more natural. 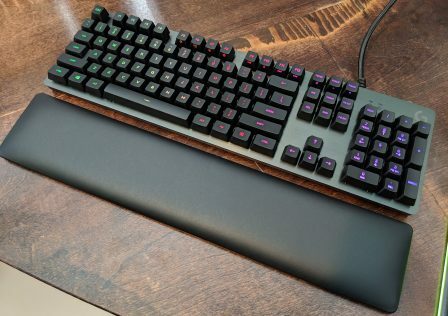 High end gaming mice as well as keyboards, especially mechanical keyboards, are much higher end products than any controller. They offer much greater reliability than controllers (which use normal rubber membranes like standard keyboards), and are much more precise. Did you ever notice how with sports games and fighting games such, sometimes things don’t come out right when playing with a controller? As a former sports game player, this caused endless frustration when playing them on console. How about old controllers that don’t work anymore? This is all because they’re such low quality products. Did you ever notice how hard it is in some games to use the diagonal functions with a controller? They’re not precise and they’re not reliable, especially wireless controllers. Serious gamers should always use wired peripherals, this is less of an issue for casual gaming. Mouse and keyboard is superior for many sports games for these reasons, and also superior for fighting games (or just keyboard usually, for these kinds of games). Programs exist to create your own macro key or mouse click bindings—binding multiple keyboard, mouse, or even controller functions to one key or a key combination. Some keyboards and mice also have this functionality built-in and stored into onboard memory. Games on PC allow you to rebind their mouse/keyboard functions, but not controller functions by default like consoles. Even if you’re not sold on mouse and keyboard, once again, you can use a controller for PC gaming, with greater freedom in controller choice. And not only can you use any USB controller or any mouse and keyboard with PC. Choice of input devices dwarfs consoles. Joysticks for piloting or other joysticks for arcade games, wheel/pedal combos for racing games, you name it. 4. What if I prefer gaming on my couch or bed, with a big TV? Then do the same for your PC. Plug it into your big TV, hook up your controller, lay down and go play some games. There is nothing from stopping you from doing this with a PC. Modern video cards have HDMI ports. Some slightly older (but still powerful) models have an old analog VGA output for your ancient TV, and newer ones also include DisplayPorts. There are also a ton of adapters to use if your TV inputs and GPU outputs don’t match up. These adapters are dirt cheap, and may be included with the GPU and/or TV. You can easily build very small form factor PCs, or get premade ones that are far smaller than any non-portable console. 5. Are PC games more of a pain to set up and play? Not at all. You have to install PC games, but even modern consoles have game installation now so it’s practically the same thing. Except for the fact that installing console games is a much lengthier process, often uninterruptible unlike PC. Launching your game is as simple as double clicking an icon, or selecting it in your games library on your digital client (e.g. Steam which is a requirement since so many games are Steam exclusive). You don’t even need to use a disc, especially if you buy games digitally. 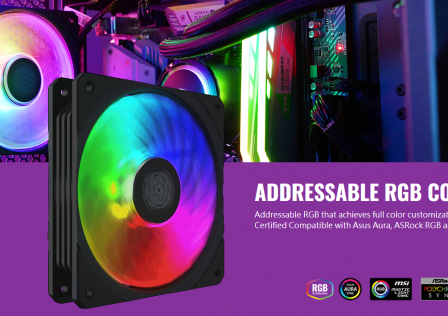 This makes PC gaming even easier—no losing discs, no scratched discs that don’t work, etc. People like to claim that as soon as you turn on a console you can essentially go straight into a game, while they act like PC requires some number of steps to actually start playing a game. In reality, often times you can get into a game FASTER on PC than on console. Consoles generally boot faster since they have a barebones operating system, although a PC with Windows 10 installed on a solid state drive negates that. On modern consoles and on PC, after turning on the system you have to log in: on consoles you log into Playstation Network or XBOX Live, on PC you log into Steam or Origin (if your game requires it). It’s the same thing, and both have automatic login. Once you’re logged in, you can start a game. The differences here are the boot times between systems, and also updates. If your console has an update, you can’t do anything while it updates and the updates normally take up to a half hour to download and install. The same goes for game updates on consoles which are also highly inconvenient. On PC, there is no waiting. Updates download/install in the background and won’t bog down a modern system. This is discussed more in the next question. 6. Do PC games auto-update like on consoles? Digital games auto-update on all platforms. Auto-updating is much less of a headache than on console. It is done entirely in the background and is much faster. PC games have a benefit when it comes to patches – they get them weeks or months earlier. For consoles, Sony and Microsoft have to do some certifications before letting these patches be released on consoles. Some patches even bring more content to PC games, due to this content not being possible to run on consoles. A good example of this is the Skyrim 1.5 update which adds grass shadows to PC but not to consoles since consoles cannot run simple grass shadows in Skyrim without a bad frame rate. 7. Are PC games less stable? No, this is (or was) typical malarkey invented by anti-PC gamers who usually never even tried PC games. Multiplatform games are typically just as stable on PC, if not more stable in some ways. Console games often get stutter and frame rate dips, which is a form of stability. This doesn’t happen on a PC in good health. Console games DO crash, despite console gamers pretending otherwise. Sometimes it’s a game issue, other times it is a hardware issue since consoles tend to be short lived, often due to overheating (like gaming laptops). The most problematic launches tend to be AAA multiplatform games, and these stability problems generally manifest on both consoles and PC. Common recent examples include Battlefield 4, Deus Ex: Mankind Divided, Dishonored 2. PC has many times more exclusives than consoles, thus PC slaughters consoles a thousand times over in this department. And because PC has near infinite backwards compatibility while consoles tend to have none or only one generation of backwards compatibility, every game that predates the console’s backwards compatibility limit (so PS3 and earlier games for PlayStation, Wii U and earlier games for Nintendo, XBOX games for XBOX) no longer exists for consoles. Consoles eliminate gaming history, making them strongly anti-art and anti-gaming and anti-consumer. Console exclusives are mostly limited to sports games, family games (Nintendo consoles in particular), and Japanese games (Japanese hack and slash usually, JRPGs to a lesser extent). XBOX no longer has any. 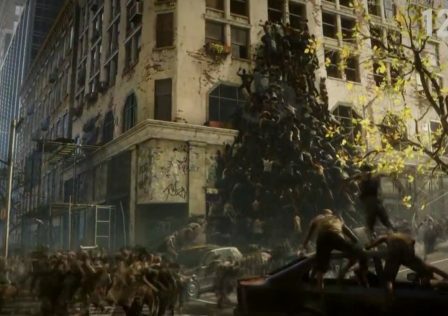 So many of Sony’s popular exclusives bring nothing new to the table, and are just wannabe blockbuster films in video game format. More on this below. Uncharted and The Last of Us are some of the highly praised console single player titles, but they aren’t really unique. They follow the simple formula of “generic linear action sequence -> cutscene -> generic linear action sequence”. You can get the same type of entertainment and much more on all platforms. They would rather be mock films than video games, this is inherent in their design, yet they will never be able to measure up to quality films. On the other hand, PC has exclusives such as all strategy game genres, racing simulators, flight simulators, even military squad simulators (Arma series), and other games that are too massive and/or have too many features such that they wouldn’t run on consoles. 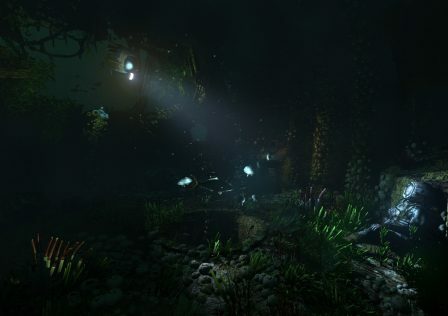 The Horror and Survival genres are essentially dead on consoles, but alive on PC. MMOs, MOBAs, superior stealth games, adventure games of all kinds (whereas consoles are mostly limited to action adventure), and essentially any type of strategy or competitive game is exclusive to PC. The great wRPGs (which have infinitely more role-playing compared to JRPGS) are mostly exclusive to PC. PC also has a bigger, more unique selection of sidescrollers, and genres extinct or near-extinct on consoles like top down shooters and Roguelike games. You’ll find much more unique, creative, innovative, and artistic exclusives on PC, since such games wouldn’t attract a big enough audience on console. PC gaming has infinitely more flavor, an undeniable fact. Some multiplatform games might as well be PC exclusives, due to mods that completely change and improve many aspects of the game, as well as adding a ton of unique content. These links are just three examples out of too many to count. Multiplayer is so greatly superior on PC since you get customizable dedicated servers included with the games usually (if not then don’t support the game, it is a mockery and scam), and far better online services than PSN and XBOX Live not to mention they’re all free on PC (services like Steam, Discord, Ventrilo, TeamSpeak, or more advanced things like virtual LAN software, and more). Once you play multiplayer on PC (and not a console game like Battlefield 1), you’ll see the difference and probably never go back. Especially since PC actually has competitive and strategic multiplayer games, which are no longer existent on consoles. Not to mention the fact that most console games only support controllers and 30 FPS makes them too laggy for competitive play. You can play console exclusives on PC. This is accomplished via emulators, but this is a hit or miss. Emulated console games are better than playing on console! You get to play at larger resolutions, with higher frame rates, and you can mod the games. Want to play The Legend of Zelda: Breath of the Wild? You have three choices; play it on either the Nintendo Wii U or Switch at 720p or 1080p respectively and at 10-30 FPS (drops to sub 20 FPS are very common), or you can play it on PC via emulation. On PC it can run at 4k 60 FPS if your PC is up to the task (and it is not incredibly demanding of course given the subpar hardware in Nintendo consoles). At the very least, most Nintendo games up to and including the Wii U are playable on PC due to emulation, at any resolution you want and up to 60 FPS, with infinite choice in input devices (controllers, mice, keyboards, you name it). PlayStation and PlayStation 2 games are playable as well, and some original XBOX games. For multiplatform games, consoles sometimes get DLC a week or two earlier. Then again, the PC versions get patches several weeks or even over a month earlier. I don’t mind waiting a week or two for extra content, vs waiting a month for annoying bugs to be addressed. 10. Are PC graphics really that much better? PC graphics are much better than console games. The difference was far greater before the PS4 and XBOX One came out; during the PS3/XBOX 360 console era, the best looking console games were trounced by tweaked 2003-2004 PC games, an unmodded 2007 game called Crysis, and many other older PC games. As for the present, consoles are still far behind in visual quality, except for the animations and character models of games like Uncharted 4 and Horizon: Zero Dawn. But animations are a relatively small chunk of visual fidelity (unless of course the game in question puts too much emphasis on closeups/facial animations (which is poor cinematography usually) and lacks the quality to back it up, like Mass Effect: Andromeda). Many PC gamers such as myself game at 2560 x 1440 or larger—this resolution has roughly 78% more pixels than 1080p, so it’s nearly twice as clear. Plenty of PC gamers game at 4k/UHD which is 3840 x 2160. Others game on triple monitor surround setups at resolutions such as 5760 x 1080 or 7680 x 1440. 1920 x 1080 looks very low resolution on big TVs due to low pixel density. 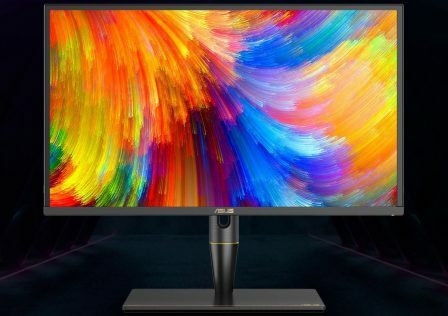 50″ screens and the like really need a larger resolution especially for gaming, at least to compete with the clarity of a 27″ 2560 x 1440 screen and the like. What I refer to here is pixel density or pixels per inch (PPI), which greatly affects image clarity (though generally this is less important than actual resolution). 50″ 4k is not very high in PPI for example, while 27″ 1440p is very high and 32″ 4k is excellent. 50″ or above with a resolution of 2x 1080p (PS4 Pro) is quite bad. 50″ and above 1080p (PS4, XBOX One) is atrocious. The best looking console games as of 2016 do have decent visual quality, don’t get us wrong. But they are still behind so many PC games and they take very obvious shortcuts (that is, obvious to a trained eye). Huge sacrifices in physics/interactivity (mid 2000s PC games will crush them in this regard), excessive static lighting and shadows (opposed to fully dynamic mid 2000s PC games again), aliasing is usually atrocious, things including lighting will unload when out of view (but sometimes you can catch this in the act), sacrifices in ambient occlusion and LODs, and more. With some tweaking, graphics can be improved in every PC game. Driver tweaking, especially NVIDIA, can work wonders, as shown here. ReShade is a shader injector that works in almost every game, and allows you to completely alter the color grading and style of the game, and potentially improve graphics considerably depending on the game in question by allowing you to force HDR, bloom, ambient occlusion, depth of field (including bokeh DOF), dithering, SMAA, FXAA, and so much more. Whatever you want. So while the answer to this question is ‘Yes,’ something interesting to note is that the most popular PC games in the world (the top 10 and perhaps slightly beyond, all of which have significantly more players and/or sales than any console game, e.g. PLAYERUNKNOWN’S BATTLEGROUNDS, DOTA 2, Counter-Strike: Global Offensive) do not have amazing graphics even compared to their time period (since most are at least a few years old). Graphics obsession is mostly a console gamer thing, often caused by their own insecurity over their console purchase(s), and the quality of PC games usually outshines graphics and tends to make people realize they aren’t even close to the most important aspect of a game. 11. What about frame rate? Due to newer and more powerful hardware, you can get much better frame rate on PC than on console. Higher frames per second means a much more smooth game. Playing games on a monitor or TV is like watching a slideshow, but a relatively fast one. Every “slide” is a frame, so think of frame rate (measured in frames per second, FPS) as slides per second in a slideshow. Frame rate is limited by refresh rate. Refresh rate refers to how quickly a monitor or TV can refresh the image on screen, measured in Hz. It is very similar to a frames per second measurement too, since 60 Hz (the current standard) refreshes 60 times per second. If your frame rate is above that value, obviously it can’t be seen since frames are being produced faster than the display can update/refresh. This is a fact, since this subject likes to get distorted by ignorant console gamers. 30 FPS is the standard on consoles. 24 FPS is the cinema standard. Dimishing returns to the human eye seem to occur around the 150 FPS mark, give or take 20 or even 30 FPS. It varies person to person hence the give or take. Either way, that means we benefit from frame rates well above 30. Most long time PC gamers end up finding sub 60 FPS intolerable due to higher standards being born from PC gaming. Console games use V-Sync to remove screen tearing, which has input lag and stuttering issues when they can’t maintain a frame rate that is either equal to or 1/2 your refresh rate. V-Sync is not mandatory on PC and we have two (and a half?) technologies that are better than V-Sync in every single way; VESA AdaptiveSync (AMD has their own version of this called FreeSync) and NVIDIA G-SYNC. 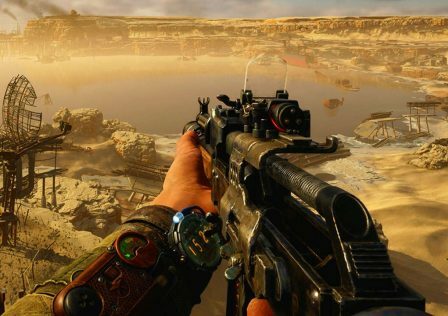 These technologies sync the monitor’s refresh rate to a game’s frame rate, like V-Sync in reverse, removing all tearing, lowering stuttering, and adding no input lag. TLDR version: Frame rates affect smoothness. The smoothest gaming is possible only on PC due to higher refresh rates and thus higher frame rates, and AdaptiveSync/FreeSync and G-SYNC. Few console games run at more than 30 FPS, and almost all of them drop below 30 FPS. While PC gamers will typically play at 60 FPS, thanks to scalable graphics options and/or superior hardware. I have no experience with console games in 3D, but the reception for console gaming in 3D is rather cold. It doesn’t get rave reviews and hardly anyone cares for it. On the other hand, NVIDIA 3D Vision 2 has gained almost only positive comments and reviews. It’s a more complicated technology requiring two specific features in a monitor: at least 120 hz refresh rate, and “ULMB”, combined with NVIDIA’s own 3D glasses. It’s expensive, but it’s an option. Virtual Reality headsets have basically killed off 3D display tech. It is present on both PC and consoles, but it will always be two or three steps ahead on PC. More headset and VR game options on PC. 13. Are PC monitors any good? While the best computer monitors are worse than the best TVs for picture quality, greater responsiveness can be found on top of the line monitors making them arguably better for gaming. Even bigger differences come from PC gaming oriented technologies in computer monitors such as high native refresh rates (100 Hz to 240 Hz, while TVs are 60 Hz), as well as VESA AdaptiveSync/AMD FreeSync and NVIDIA G-SYNC (syncs monitor refresh rate to game frame rate, more effective than V-Sync with none of the downsides and seriously improves gaming). Lets not forget surround gaming, something exclusive to PC. If you have serious cash, then you can set up three or more monitors and immerse yourself even more. Let’s not forget that you can use your TV for PC gaming if you so desire. Plus you’ll get even better image quality due to better looking PC games, not to mention the ability to actually run only PC games at native 4k which you can’t do on any console. 14. Are sound cards really helpful for gaming? For those who don’t know, sound cards are addon expansion devices for computers. They are aftermarket products that are installed onto a motherboard, using PCI or PCI-E slots (though there are external ones too). They are meant to not only improve general sound quality, but also improve game performance through game-specific features. Creative and ASUS are the only real players in the sound card industry today. The answer to this question, as you may have expected, isn’t a simple yes or no. It’s yes and no. It depends on the games you play, and also on user preference since everyone has different ears. You can learn more about sound cards by clicking this link and reading the section called “A note about hardware accelerated sound and 3D audio in gaming” and also by reading this thread. But to give a short answer, sound cards aren’t necessary for modern games. Razer Surround is a free virtual surround software, which is a major reason as to why people buy sound cards in the first place (namely headphone users but even stereo/2.1 speaker users). Virtual surround is aimed to give headphone users a fake surround effect, by downmixing multichannel audio to stereo. Some of the major virtual surround solutions are Razer Surround (free software), Dolby Headphone (ASUS sound cards have this), Creative SBX Surround (Creative Z series and Recon3D sound cards offer this), and Creative X-Fi CMSS-3D (X-Fi sound cards have this). Virtual surround is 100% software based. Virtual surround doesn’t exist on consoles as an open software solution. It’s only provided by the few compatible gaming headsets that provide this functionality, like Astro’s headsets, which have poor sound quality and a very small soundstage so it’s much worse than virtual surround on PC with good open headphones. Virtual surround is effective at emulating surround sound for headphone/stereo speaker users. For older PC exclusive games, released during Windows Vista’s reign and earlier, Creative X-Fi sound cards are absolutely worth it. Why? Because these older PC exclusive titles (and some multiplatform ones actually) support hardware accelerated sound. They use the resources built onto Creative X-Fi processors, in tandem with their advanced DirectSound3D or OpenAL API, in order to provide true 3D sound processing. All in-game sounds are processed within the game engine’s 3D space, with each sound effect potentially having its own X, Y, Z coordinates. Processed by advanced HRTF algorithms, this results in much more realistic directional sound for actual surround systems, and binaural sound simulation for headphone/stereo speaker users. Binaural sound is much more realistic than virtual surround, since it replicates how hearing actually works. You may have seen/heard the virtual barber shop (if not then click here), which is a famous example of binaural sound. These older games replicate this with the help of X-Fi sound cards. It is so useful for competitive and immersive gaming. It really tricks your brain into thinking sounds are coming from all around you, from outside your headphones, from the real world. 3D/binaural sound is completely absent from consoles. A Creative sound card is only needed to convert DirectSound3D games (meaning games developed for Windows XP and earlier) to OpenAL because DirectSound3D doesn’t exist on modern operating systems. You can enable 3D/binaural sound in OpenAL games without a sound card by following these instructions (completely software based). TLDR version: The best, most advanced sound processing in video game history is exclusive to PC games, and most games released on PC between the late 1990s and late 2000s offer such sound. A Creative X-Fi sound card is required to get the most out of it, thus a serious gamer should get a Creative Sound Blaster X-Fi Titanium HD. Modern games on PC running on stereo or 2.1 systems can benefit from virtual surround, something only possible on consoles with proprietary add-on hardware (e.g. Astro Gaming headsets and one Sennheiser headset). 15. Are mods really worth it? Mods are one of the biggest benefits of PC games. There are mods that make needed fixes for games, improve graphics, improve sound, add cool features to games, and there are more impressive mods that equate to its own game. Mods can improve the replay value of a game considerably, adding all sorts of new content to a game. They are a big deal. Take a look at games with massive modding communities, namely Arma series, Crysis, DOOM 3, Garry’s Mod, Half-Life and Half-Life 2, modern Fallout series, The Elder Scrolls series, S.T.A.L.K.E.R. series, Killing Floor, Unreal Tournament 2004, Medieval II: Total War, Men of War: Assault Squad 2, and so on. You’ll be amazed. It is not difficult to install mods at all—some have an installer, but usually you just have to drop a folder into another folder. Modders often create mods that are better than AAA games. And even better than non-AAA games too, since AAA games tend to be worse than some non-AAA counterparts largely due to inter-office politics and publishers damaging the game. For some concrete examples of this backed up by real world numbers, read this article. 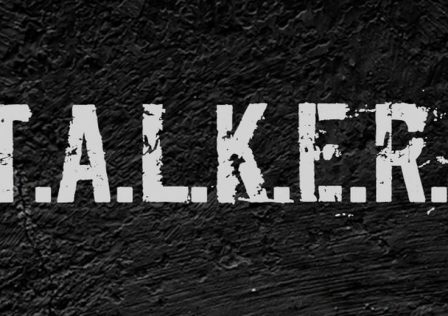 Also see some other incredible mods such as S.T.A.L.K.E.R. Call of Chernobyl, Underhell, The Dark Mod, the various popular game modes of Garry’s Mod, honestly there are too many to list. 16. What about cheaters in multiplayer gaming? The cheating/hacking problem of PC gaming used to be a real annoyance, but the issue is essentially fixed! I haven’t seen a cheater/hacker in years. Anti-cheat has improved substantially and games tend to use multiple layers of anti-cheat now, such as PunkBuster + VAC + BattlEye. But this is not the primary reason as to why cheating has died out, that is explained just below. Steamworks and Origin multiplayer games are very “hacker proof” since they ban your entire Steam or Origin account if found hacking too many times. Almost every modern multiplayer game uses one or the other. Thus, the risk is deemed not worth the reward by gamers anymore, so you will probably not see hackers in Steamworks and Origin games. Most game hackers won’t even be able to enable hacks without getting instantly banned. PC does have a lot of perks to multiplayer gaming. The main reasons being mods and free customizable dedicated servers. For more on this, read this article. Strongly in favor of PC. As far as I know, the XBOX 360 had a higher failure rate than most other electronic components in recent years. Although its reliability improved, it is common to have a console die on you in several years, especially current gen and last gen. I had one PS3 and one XBOX 360 die on me, my PS2 and Gamecube have trouble playing games, although oddly enough my older systems work fine. I guess those were tanks. But acknowledge the fact that consoles are mass-produced systems so their quality is bound to be worse. When my PS3 failed, I opened it up to try and repair it. Upon looking at its hardware, it became obvious how poor the quality and craftmanship is. Bad soldering all around, lower quality electronic components, consoles are just cheap and unreliable systems. Consoles also get really hot, while on PC you can get all sorts of cooling methods (simple fans do more than fine). Get yourself some moderately powerful or enthusiast PC parts, and your PC will last a long time. Far longer than a console. 18. PC games don’t have achievements like consoles do, right? Wrong. Digital clients like Steam and Origin have standardized achievements long ago. 19. I don’t like digital copies for games, I want hard copies. Then buy hard copies on PC. They’re still around… for now. Sony and Microsoft are pushing digital retail for consoles too. But why avoid digital copies? It’s really better. You get the game earlier (compared to buying from an online store), no need to fiddle with or worry about scratching/losing disks, and disk games almost always have DRM too. Digital is a lot more convenient. The average PC is indeed bigger than consoles, but you can build a very powerful PC (far more powerful than any console) in ITX form factor. 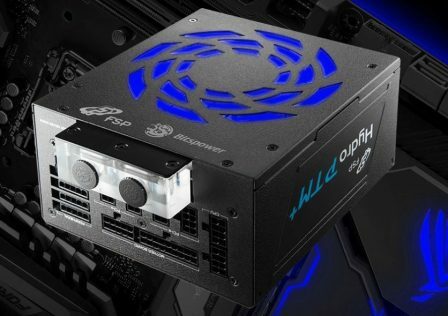 ITX is tiny, console-sized, and you can build such a PC with the absolute best desktop hardware available. Yes, you read correctly. Go ahead and build one with a very high end motherboard, Intel Core i7 8700k delidded and overclocked to 5 GHz or beyond, 16GB or 32GB high speed DDR4 RAM, and a NVIDIA GeForce GTX 1080 Ti or even Titan Xp. Several larger cases have handles making them easy enough to transport, making only its size a concern. But like I said, if you’re a LAN gamer pick up a chassis designed for LAN usage. Namely an ITX case. Get started with this article. If you’re in Europe, check out this case, the smallest case I know of that can fit a full sized GPU. Here is a more available, less costly alternative. 21. What about the social aspect? Like connecting with friends on XBOX Live or PSN. What does PC offer in this regard? PC offers much more and much better options. Pretty much every PC gamer uses Steam; in fact, more people have Steam accounts than they do XBOX Live accounts or PSN accounts, by far. Check out the Steam website, install it, and see what it’s like. It has everything XBOX Live and PSN do plus much more. And it’s totally free. Lower cost and objectively superior is a common trend with PC gaming compared to console gaming. You can easily add people to your friends list, block people, talk to people, use Steam to join people in-progress, use Steam to join servers from outside a game, find or create clans on Steam, text chat during games, voice chat during games, Steam has achievements for lots of games, there’s a market on Steam, it has advanced game sharing and trading, refunds, great deals, the list is endless. Origin has all the same things minus game sharing. GOG has most of the same features. Other platforms exist too, but these three are the ones with the most unique quirks. Steam has the most exclusives and features, Origin has EA exclusives, GOG is DRM free and includes goodies with games like artwork, avatars, wallpapers, sometimes soundtracks and more. In addition, it’s easier to find a clan if that’s what you’re into. In multiplayer games you’ll find dedicated servers run by clans, with clan information within the server. All you have to do is follow said information to their website or Steam page, and send someone a friend request or apply for the clan. Clans tend to use Discord, Teamspeak, Ventrilo, or Mumble, which make for a social environment that is much more flexible than anything consoles offer. Virtual LAN gaming software also exists (e.g. Evolve) and has its uses, especially for older games. 22. But doesn’t PC gaming have less players? This is a commonly told lie. Have a look at the numbers yourself: Official Steam charts, even more Steam stats, World of Tanks EU server stats, StarCraft II stats (note it lists number of ranked teams not players which would be a higher number, and check each individual mode and version), also research statistics for World of Warcraft and League of Legends. And always remember that the number of Steam accounts greatly outnumbers the amount of XBOX Live and PSN accounts. So the answer is no, PC gaming dwarfs console gaming in players/popularity. 23. Break it down for me, why should I try PC gaming? 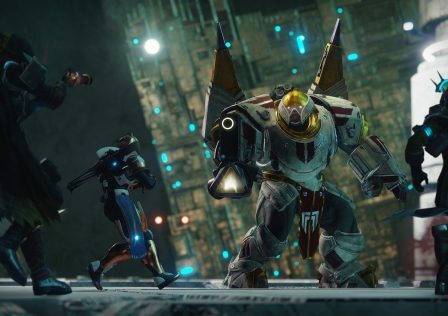 Exclusives – Innovation and ambition is very hard to find in console games, yet you can find it on PC. wRPGs, horror games, survival games, racing simulators, flight simulators, military squad simulators, RTS, TBS, and MMO/MOBA are all mostly exclusive to PC. Mods that can seriously renovate a game into something much more, or tailor a game to your liking. Mods can range from subtle changes and fixes to huge and necessary overhauls. Quite a few mods even amount to standalone games, and many actually become such. Games like The Elder Scrolls and Fallout are almost unplayable without mods, due to how vastly superior mods make them. Download mods or make them yourself. Backwards compatibility. The lack of this on consoles (going back only one generation is a lack of backwards compatibility) invalidates console gaming as an art form. Look at any other art form, from paintings to literature to cinema. Can you only watch movies from the last 5 years? Can you only find paintings or literature made within the last 5 years? Gaming is the same. PC preserves gaming like a proper art form, as on PC you can easily play games dating back to the 1980s which is when it really began. Dedicated servers included with most MP games for free. They are customizable so you can make yours unique. In MP games, admins can kick or ban cheaters/boosters/teamkillers/any other people who deserve it. Versatility – You can keep playing on your couch and with your big TV, or set up a mouse and keyboard combo with one or several monitors and enjoy an amazing gaming experience. Customization – If you build your own PC, you can make it so that it has the colors/lights of your choice, noise level of your choice, and even size of your choice. 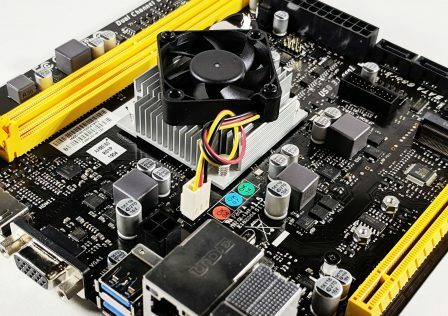 People like to say PCs are massive and hard to bring around, but you can build a very powerful PC in a tiny form factor chassis, avoiding these issues. Even larger computers can be easy enough to transport, as long as they have handles. Convenience – Modern consoles tend to install games just like a PC, but due to their small little hard drives, you may end up uninstalling and installing games quite often which is time consuming especially on consoles. With a PC, you can get a large hard drive or solid state drive, or several in a RAID setup if you wish, and just keep all of your games installed. Multitasking – PCs are good not just for gaming, but you can watch TV/movies on it, use the internet (in-game if you use Steam), Microsoft Office, photo/video editing, anything. Lower Game Prices – PC games cost less. Just about every console game is $60. If you want to buy new AAA game releases on PC, you rarely have to spend $60. With EA games, you will have to spend $60, but if the game is on Steam (and if it’s not an EA game then there is a 99% chance it is on Steam) then you won’t have to spend more than $48 thanks to Greenmangaming. Some places offer ridiculous deals, such as Steam’s summer and Christmas sales (for example, I got the entire GTA franchise before GTA V was released, plus all DLC for $12.50 on Steam), Greenmangaming is equally good when it comes to sales, and Humble Bundle can be even more impressive (for example, I once purchased a Humble Bundle for $5 that included Saints Row 2, Saints Row 3: Full Package, Dead Island GOTY edition, Sacred 2 Gold, Risen 2). So keep an eye on Steam sales, GreenManGaming, Humble Bundle, Amazon digital sales, and GOG. People also use sites like G2A which cost less than all of the above, but I have little experience with them. Upgradable hardware to keep up with new technology that may appear in games. Much better graphics and better frame rate made possible thanks to newer hardware. Tweak the graphics of virtually any game with driver tweaks and/or ReShade. PCs are more reliable, higher quality systems. Play PC exclusives with the ability to play some console exclusives via emulators. Mouse and keyboard offer greater capability in games, thanks to the precision of a mouse (for aiming and platforming), sheer number of keys, and macro scripts on mice and keyboards. Potential to use multiple displays, higher quality displays and/or 3D vision. Yes, you can do 3D vision across three displays (called 3D Surround). Better VR support. Potential to use better audio hardware, namely sound cards. Also many headphones don’t work with consoles. PC is better at giving you the option of abandoning the use of discs, which can be scratched/damaged and lost. Digital retailers such as Steam also offer a ton of features not seen or poorly done on consoles, such as in-game instant messaging, web browsing, news updates, joining in progress, favorited servers, mod workshop (instant mod installation and updating, so far for only a few games but this will change), etc. You can take screenshots in any PC game. Much easier video capture via Open Broadcaster Software. PC usually gets patches weeks or months earlier. There are probably more reasons. 24. Be honest, what are the downsides of PC gaming? 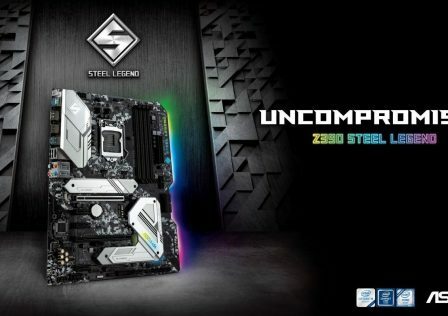 Overpriced pre-built systems. This can be avoided if you’re willing to learn how to build a PC or know someone who can do it for you. Building a PC is time consuming and can go wrong for an inexperienced person (you won’t damage anything but it might take multiple tries for it to boot correctly if you connected things wrong). Admins can abuse their power in multiplayer games, but this is rare. Consoles sometimes get DLC earlier. Console exclusives are console exclusives. Emulators can be unreliable, particularly for PlayStation 3 and newer and all XBOX consoles. Have a look at this gallery, showing off “old” games with mods that will blow your mind. Also see the following threads which discuss some unique advantages to PC gaming. Don’t forget to check out ReShade. This article will be kept up to date, mainly with information on new affordable hardware but also with any new questions that arrive. If you’re looking to make the switch to PC gaming, this is information you should know.